Krissys Creations: Look what I won!Happy Dance!! Look what I won!Happy Dance!! As you may have noticed Ive been making christmas cards as part of the christmas in July comp over at The Scrapbook Establishment and the winners have been announced today and I was lucky enough to have a pick from the prize cupboard and my reindeer card was picked as the overall favourite by the girls who voted! !Woohoo how cool is that! 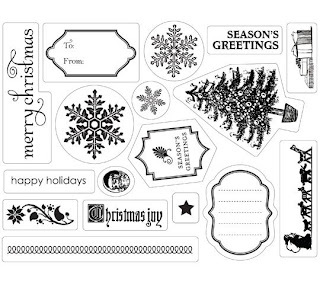 !SO I have won myslef this fandabbydosey making memories stamp set yipee! !I won 3rd place overall along with another lady and was mega pleased to get that far.....trust me these girls definately know how to make awesome cards!!! Its moi.......lol bit of a different piccie of me, Im not doing my normal grin but its me none the less :) More vintagey style Im so loving it! !This is my entry for the scrap with a twist challenge happening right now at 123scrapbook :D My roses are made using a tutorial by Zany and I love how they turned out :D This weeks challenge was to create a LO using naked chipboard and use paint on the creation....check and check! Ok here comes the whinge.....Im sick :( sore throat,runny nose (eeeeeewwww) and I ache from head to toe :( Definately not fun to be me right now :( Hope it goes away soon because we are off to visit AL's Mum at the weekend and I dont want to share it with everyone. Okies Im off to cook dinner *mwah* thanks for visiting! Aww, you poor thing, hope it's not the piggy flu!! Love your layout about yourself, your vintage rocks! and I thought you looked different! LOL!! Still beautiful though! Beautiful photo! I like it :). Such a gorgeous LO again, yum!! I just love how you ahve made those roses...any chance of getting a link to the tute? Congratulations on your win Krissy, your work is wonderful! !